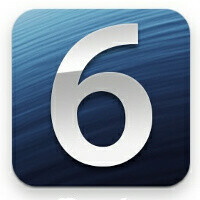 Apple has allegedly started a legal procedure for copyright infringement towards a few websites selling UDID numbers, necessary to install the iOS 6 beta without a developer account with Apple. There are a number of those websites out there, profiled in a recent Wired magazine article, and Apple has allegedly asked their hosting providers for the sites to be taken down, with the argument that their services represent copyright infringement, so a lot of those sites started disappearing. Each one of those services takes advantage of the fact that each registered iOS developer can generate up to a hundred UDID numbers, and they resell those to the general public which wants to try Apple's latest mobile OS version without shelling $99 for a developer's account. One of the services has allegedly made about $75, 000 so far, with its owner commenting: “We do not believe our service was infringing and our services did not violate their guidelines for iOS 6”. Apple is very lame as software company. The fan boys can't wait for "reply by message" and the "facebook integration" anymore!! Just release the beta to everyone! Anyway, since apple don't listen to users they don't care to release the beta for normal users.